A throwback to ancient textiles, Vari is inspired by the Japanese tie-dye or Shibori technique. Shapes and shades create a texture that’s super ‘kawaii’. 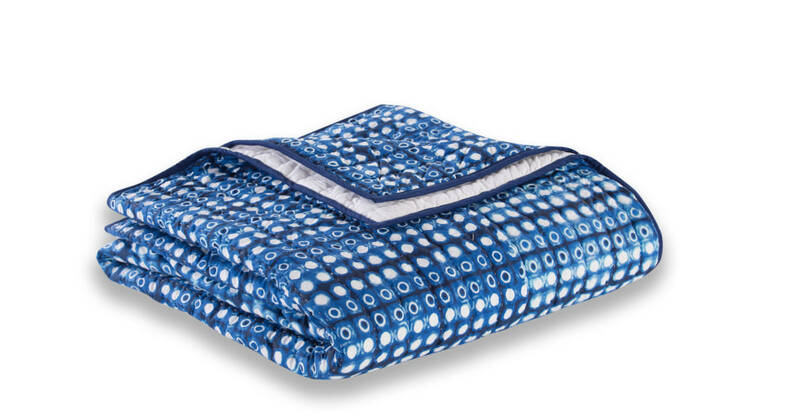 Made from 100% fine cotton percale fabric, Vari feels luxuriously smooth to the touch. Natural, breathable and ideal for your much-deserved duvet days. All shades of deep blue - it’s the latest interiors trend. Ink Blue with crisp white gives your bedroom a refreshing look with the perfect amount of calm.